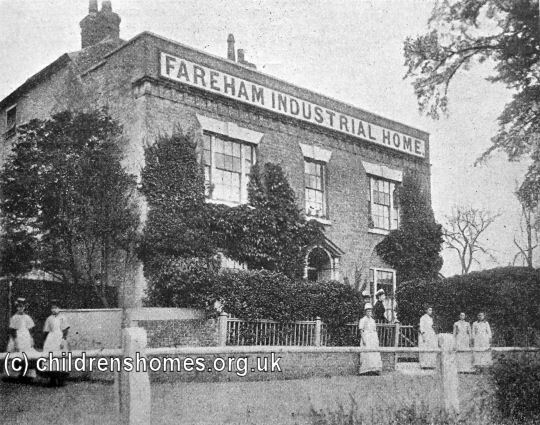 The Fareham Industrial Training Home for Girls was established in around 1866. 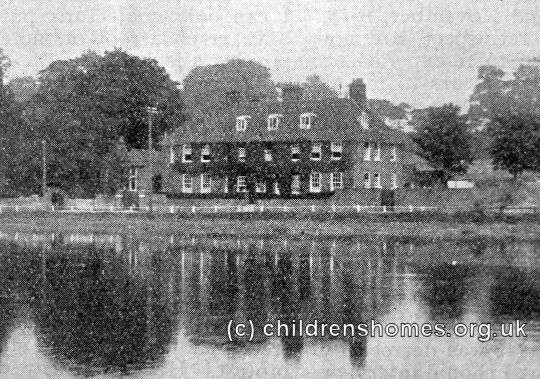 It occupied a property on Wallington Shore Road, to the east of Fareham, and could accommodate 30 girls aged from 12 to 15 years of age. 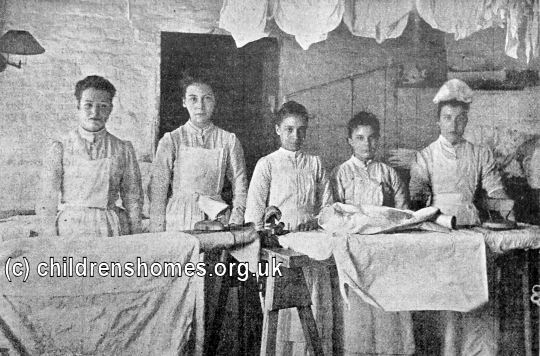 The girls were trained in laundry and needlework, to equip them for a future in domestic service. 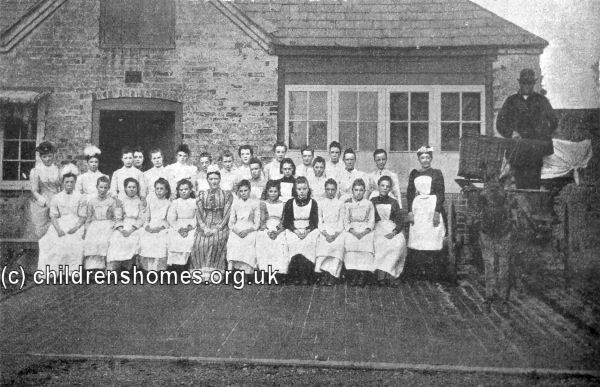 In 1878, the running of the home was taken over by the Waifs and Strays Society and continued along the existing lines of operation. In 1889, a mark system was introduced which rewarded the girls with 1d or 2d for good performance and behaviour. Laundry work was the principal industrial occupation at the home, which had two wash-houses. 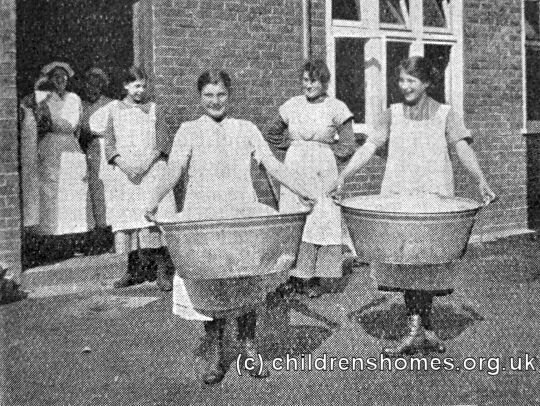 The washing for twenty families in the area was carried out each week by the girls. 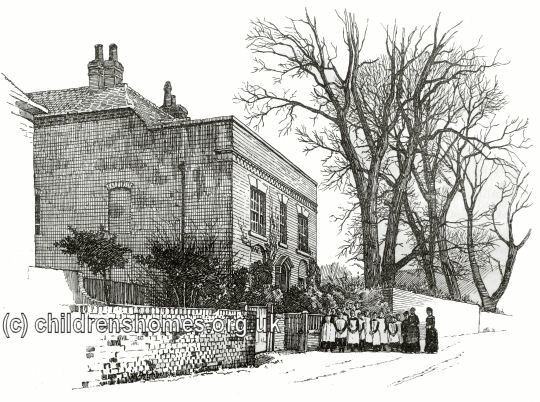 In 1907, new premises for the home were erected alongside the existing building which was then demolished. 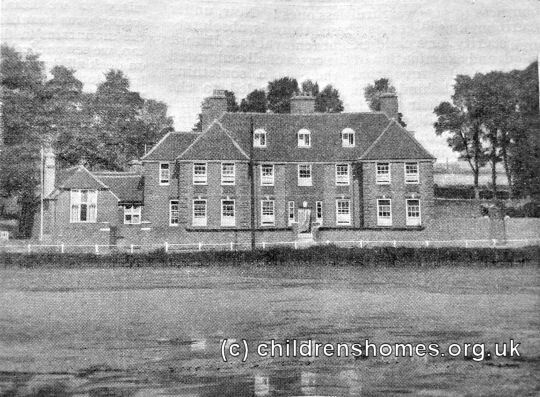 The new building was opened by the Bishop of Southampton on July 19th, 1907, with the home thereafter being known as St Edith's. 1907 was also marked by the death of the Fareham Donkey. The animal had been resident at the home for many years and helped with the work of the establishment, such as carrying laundry. Fortunately, a replacement donkey was found to continue the tradition. During the Second World War, the home was closed and the residents successively evacuated to Exeter, Paignton and Sampford Peverell. After the war it became a mixed home which continued in operation until the late 1960s. 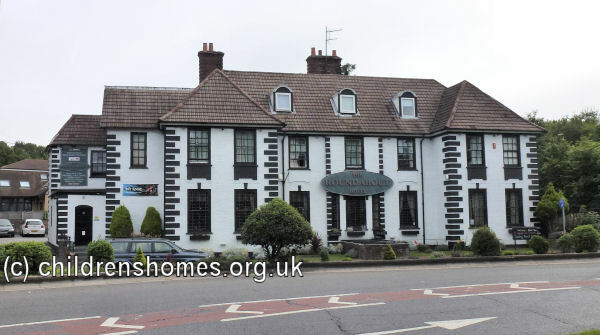 The St Edith's site is now used as a hotel.